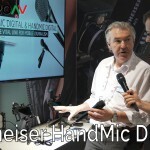 Sennheiser recently announced a completely new family of affordable wireless audio transmitter/receiver and mic system called the Sennheiser XS Wireless Digital. This system will not replace any of the company’s existing line of wireless systems (the G3/4 and AVX) but will bring some of the technologies Sennheiser developed to a wider audience at a much more affordable price point. 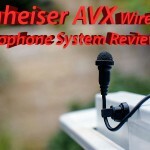 Over two years ago we reviewed the Sennheiser AVX Wireless Microphone System which we really liked (and we continue using even today for many interviews). 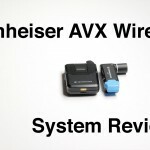 The new Sennheiser XS Wireless Digital takes the basic idea of making a wireless system which is literally plug and play that we have seen with the AVX system and make it even simpler (the AVX has some control over gain and minimal button options – the XS Wireless Digital has a single button for everything – plug – turn on and record – as simple as that). So what are we looking at here – well, the XS Wireless Digital System is based around a 2.4GHz wireless technology (which works worldwide) and it is completely digital and fully automatic (just like the AVX system). 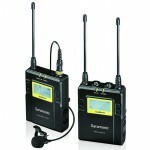 It comes in different kits of transmitter/receiver varients – either with a lav mic (ME-2), a handheld mic or for connecting to your instrument (if you need to record somebody playing a guitar etc.). 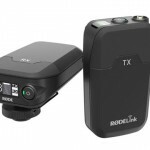 Both the transmitter and receiver come in either 3.5mm jack, XLR or TRS depending on the specific kit. You can connect only one transmitter to a receiver at any given time but a receiver can “remember” up to 4 transmitters (so if you have both a handheld unit and a lav connected unit and you switch them from time to time you don’t have to switch the receiver (just remember – if you want to record more than one channel you will need two receivers/transmitters). 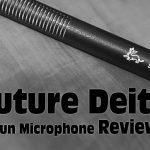 One thing that we are still trying to understand from Sennheiser is – can you somehow power boom mics that require phantom power using the XLR unit (from what we understand you can’t and this is a shame but since many people are asking – maybe Sennheiser will come up with a solution or have another version with Phantom power). Up to 5 hours of battery life on a single charge (USB-C charging and powering on the go, 50% charging in 1hr). 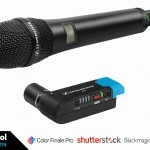 As for pricing – this will really be up to the specific kit – starting from around $300. 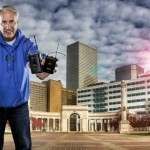 We are hoping to test the XS Wireless Digital System later in 2019 and bring you our impressions of this new system.